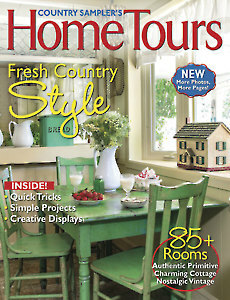 Bigger and better than ever, Country Sampler’s Home Tours features 144 full-color pages filled with endless inspiration for every room in your home. 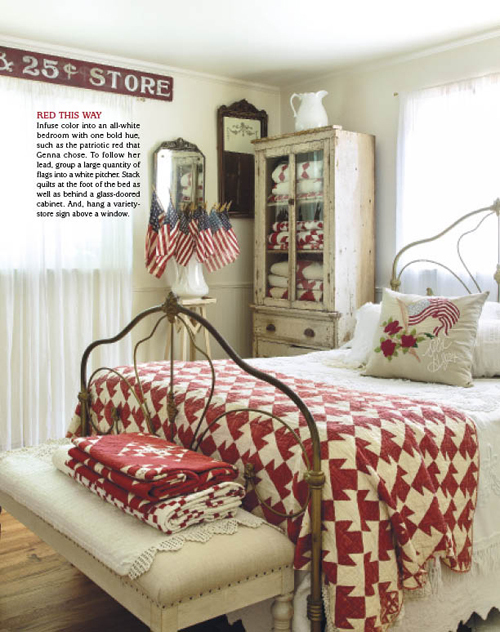 Visit 12 amazing homes that showcase true country style. Tour a gorgeous garden dotted with salvaged treasures and unique containers. 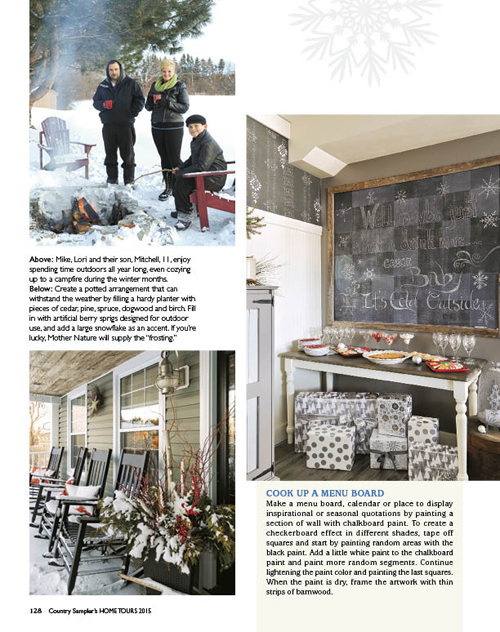 Add personality to your walls with book pages, tin panels and painted murals. Camouflage modern appliances in the kitchen. 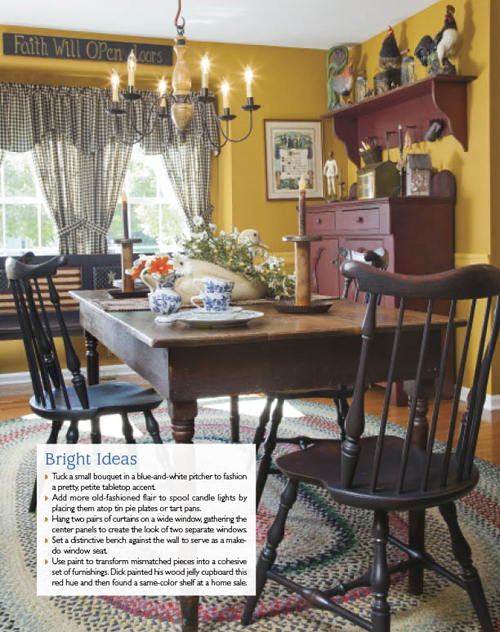 Re-create the look and feel of a log-style home. 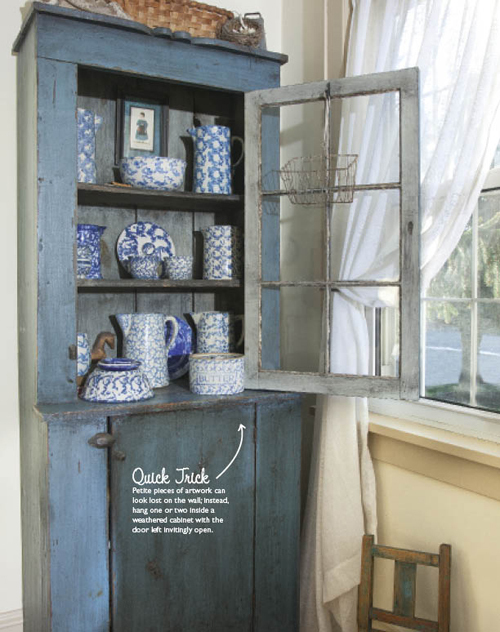 Plus, tips for displaying collections, decorating with architectural salvage and more. 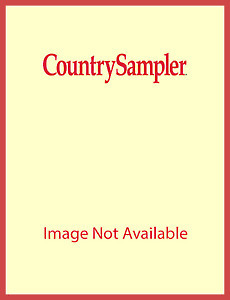 I love Country Sampler I keep every book I get it's a wonderful book, it has all kinds of ideas, just love it.